I’ll start this blog with a bit of information about me. I started playing World of Warcraft towards the end of the Wrath of the Lich King expansion, then played Cataclysm for a couple of months after that. The server I mainly played on at that time was the Oceanic realm of Dath’Remar. It doesn’t take long to hear about bots when you first start playing the game. After getting to know my guild members, I began to realise that they were botters’. They never admitted it and I never asked, but I had an inkling they were. At the time, I was a student (as I still am) and could not afford to keep up my subscription to WoW. Therefore, I began looking into the idea of botting. It took me a while to figure out which bot was the safest, and when I got the courage, I sold off all my legitimately made gold and bought one key for honorbuddy. I had about two weeks left of my subscription so in that time I had to make enough gold to cover my subscription costs. Not a huge deal, but at that time to someone who had no idea what they were doing – it might as well have been Mount Everest in front of me! I read all I could and downloaded many free public profiles. 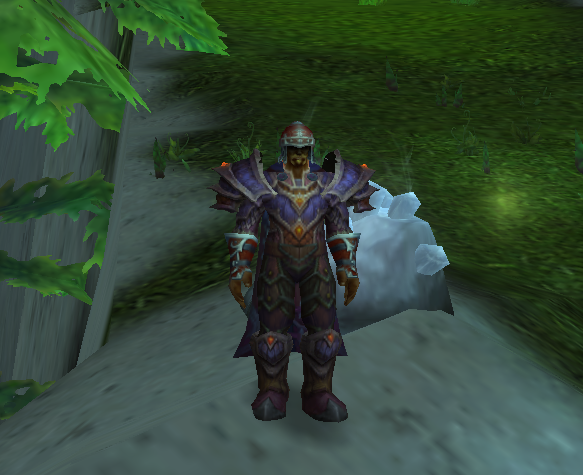 I ran my bot gathering obsidium and elementium ore, herbing as I went along my way. I watched my character playing by itself in awe at the beginning, wondering why I didn’t do this earlier! I’d leave it running overnight and wake up to a mailbox full of ore, then I’d turn it into bars and sell it on the auction house every morning. Those were the days! It was literally a gold mine! I made enough to buy a few months Refer A Friend time from a person on a site called Ownedcore. Then I began to wonder how many bots I could actually run on my relatively old, but decent, gaming computer. One by one I built up my account collection until I had three running, then five running. Felt like I was raking in the gold, with RAF game time only costing about 5000 gold per month each account it was literally a gold mine! I sold my gold to people who had a ton of feedback on Ownedcore. This ended up mainly being one of the well-known Chinese gold buyers. So I wasn’t getting paid really well for my gold, but well enough to not only cover my subscription costs but also to have a bit of spending money. Eventually I took a break and focused on my studies until after Mists of Pandaria was released. Then once again, I activated my dormant accounts by buying some RAF time and paying a bit extra to make it so my accounts could send some RAF invites. It didn’t take very long before Blizzard upped their game, I lost a few accounts to bans and bought new ones. Luckily my main wasn’t one of the casualties, even though I was still botting on it. All my accounts were banned! I then started working on getting achieves so my accounts didn’t look like bots. This worked well, I even began playing one of my bot accounts by hand. Before long, my main got banned skinning in Valley of the Four Winds. I wasn’t phased, I liked my other account better. Until a few weeks later, a GM must have gone on a rampage with me – all my accounts were banned! I quit botting for a while after that, until we fast forward again up to the last year or so and that’s where the true botting story begins!